Moving residence can often be a traumatic experience, if done without planning and taking on the experience and knowledge of furniture removals professionals. Only the extremely brave hearted or the foolhardy would think of undertaking the mission of moving from Brisbane to Melbourne all by themselves and tackling the complexities of pre-packing, arranging for moving boxes or storage units, finding a truck to hire; more so when the services of professional interstate removals like Roadways Furniture Removals are easily and economically available. 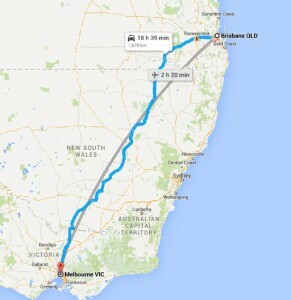 Roadways – Making Relocation a Breeze for all your Brisbane to Melbourne removalists. As the best, Brisbane to Melbourne removalists, our network of specialised furniture removals covers all destinations in Australia. Call us today to get started!